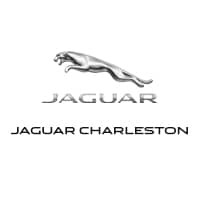 Why Should Drivers Choose Jaguar Charleston? Of course, there are many reasons, but perhaps the most important is the incredible service we offer. From taking our time to ensure our customers have the best car buying experience when choosing a new Jaguar model, to making sure each of our clients obtain the car loan and Jaguar lease that he/she is most comfortable with, our commitment to you is unsurpassed. You can also find a varied selection of pre-owned, certified pre-owned, and a rotating selection of new and pre-owned vehicle specials. Jaguar Charleston makes sure you’re taken care of, whether it’s for service or a new vehicle purchase. From your initial auto search online until you drive off of our lot in your new or pre-owned vehicle, Jaguar Charleston is excited to be your preferred luxury brand partner. If you’re interested in any of our incredible products or services, don’t hesitate to contact us online or by phone, or plan a visit to our convenient 7 Dudley Farms Lane, Charleston, WV location, today. We look forward to meeting you soon!